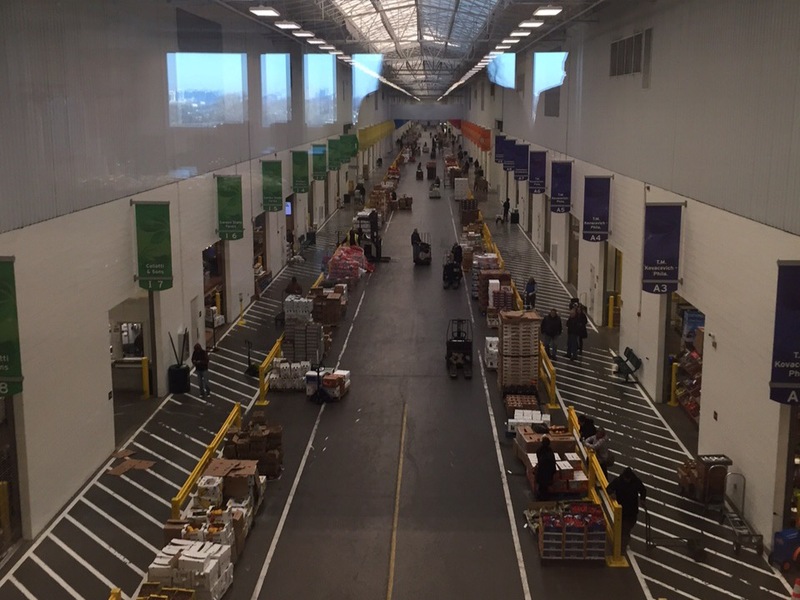 Colleagues, port representatives, and government officials joined together at the Philadelphia Wholesale Produce Market (PWPM) to participate in an annual interactive experience reviewing the trade, technical, legal, regulatory and business issues affecting the import of Chilean fresh fruit into the Delaware River Region. 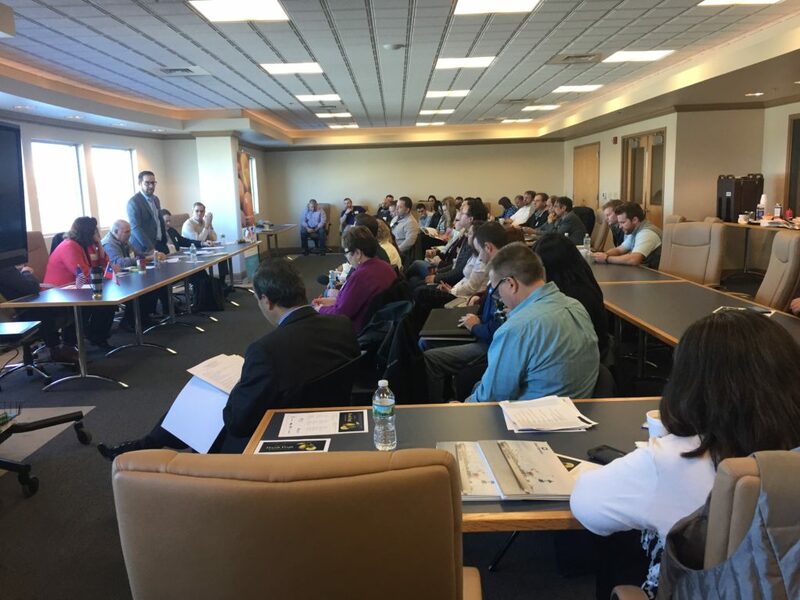 The workshop featured a panel of experts moderated by Tom Mastromarco of Holt Logistics Corp. and welcomed with remarks courtesy of Sean Mahoney of PhilaPort and Honorary Consulate of Chile, Benjamin Leavenworth. 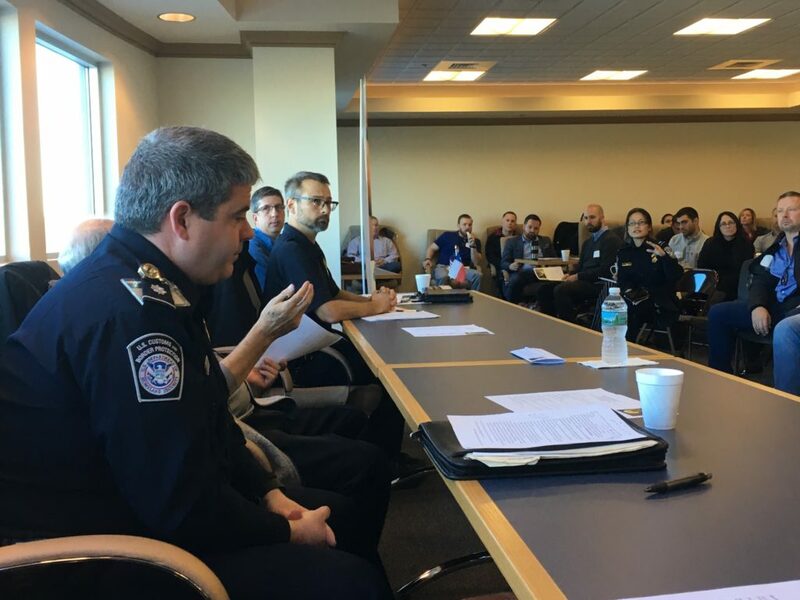 This year’s panelists included: Felipe Gajardo, Agricultural Trade Specialist, Agricultural Office – Embassy of Chile; Stephen Brady, Chief Agricultural Specialist for the Port of Philadelphia, U.S. Department of Homeland Security, U.S. Customs and Border Protection; William Spence, Officer in Charge, USDA Animal Plant Health Inspection Agency – Plant Protection & Quarantine; Marc Krasner, Acting Asst. Officer in Charge, Philadelphia USDA – Agricultural Marketing Service Office; Russel Vandermark, FDA Investigator, U.S. Food and Drug Administration; John Ercolani, Senior Vice President, J&K Fresh East; George Sibley; Christopher Ryan, Key Account Manager, Perishables, GEODIS USA, Inc.; Kurt Reichert, Fumigation Director, Western Fumigation; and Lisa Himber, Vice President, Maritime Exchange for the Delaware River and Bay. Thank you to PWPM for hosting the CACC, Panelists for their participation, and all attendees. Special thanks to the supportive CACC members who sponsored the 2017 Annual Fresh Fruit Fall Workshop: GEODIS USA, Inc., Holt Logistics Corp., J&K Fresh East, The Port of Wilmington Delaware, and Western Fumigation.